Really, really small scale but, it really is farming. 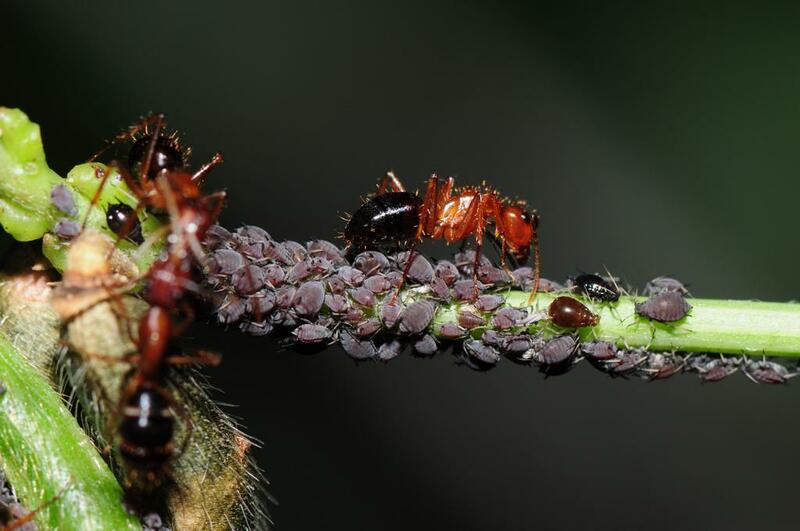 A 2007 article from the website ‘Science Daily’ gives an excellent explanation of how ants control aphids. 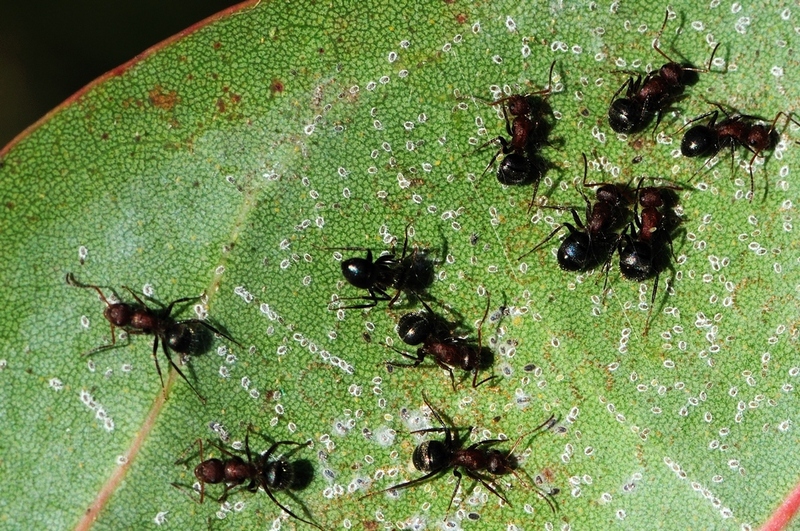 Aphids are sometimes called Ant Cows because they are herded by ants and exude a sugary ‘honeydew’ that ants eat. The aphids above were on one of the pea flowers that grow in the mangroves on the way to Ponce De Leon Park. Taken with a D90, 105mm f2.8 VR Micro-Nikkor, TC-14E teleconverter at 1/320 second, f16 using an SB-800 flash. Here is another shot of Ants getting honeydew from what appear to be whitefly nymphs. This was taken in the Punta Gorda Nature Park with the same camera and settings. This entry was posted in Bug, Park and tagged ant, aphid, honeydew, Photography, Ponce de Leon Park, Punta Gorda Nature Park. Bookmark the permalink. The theme is twenty ten. It is a standard theme available on wordpress.